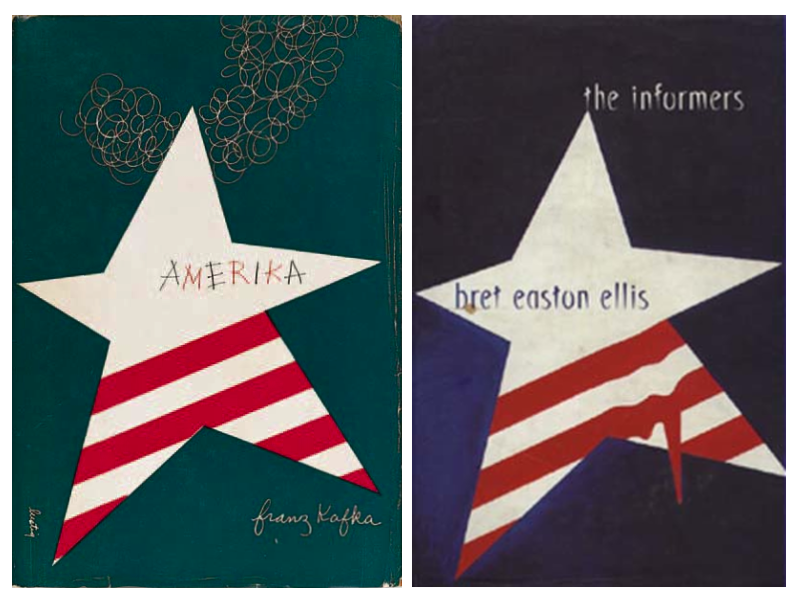 Flipping through the excellent By its Cover1 I noticed a familar cover design, credited to Alvin Lustig for the New Directions edition of Kafka's Amerika. However I had never seen this book—instead, I own the Picador paperback of the Bret Easton Ellis collection The Informers (I would swap). A nice design quotation, probably lost on everyone besides book design aficionados and those—like me—who happen to stumble upon it2.